If you or your student are interested in participating in upcoming parades, here is the information you will need! This 10-week program provides specific strategies that help parents address their child's challenging behaviors at home. For parents with children ages 3-13 years old. ATTENTION PARENTS! Print your students emergency card on Aeries Parent Portal! It is mandatory that all parents sign and return their students emergency card to the school office by October 3, 2018. 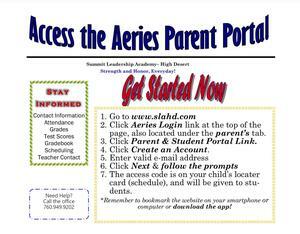 You can access the emergency card by visiting the Aeries Parent Portal found on our website under the Parents tab. Simply sign-up by using your email address, student ID #, and the verification code found on your students schedule. If you do not have your students information please contact the school office at 760-949-9202. Once in the parent portal, click on data confirmation, update your students information, confirm, and save. Once complete you will be able to print the emergency card. Please return the the school office by October 3rd, 2018. Attention Parent Volunteer's, come meet the Principal and Executive Director this Tuesday, September 18th, 2018 at 5:30 PM. Meeting with be located at our Junior High School 15776 Main St. Ste.11 Hesperia, CA. 92345. If you have any questions please call our school office at 760-949-9202. We'll see you there! 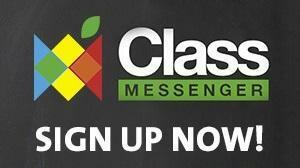 Sign up for Class Messenger today!